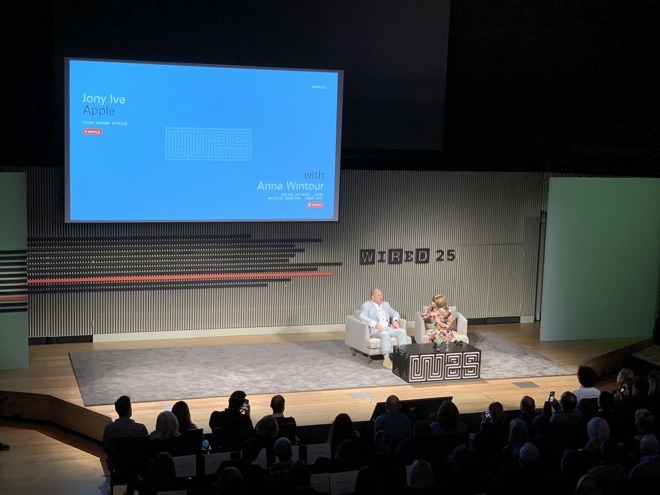 There remains a lot to do, Ive told Vogue editor Anna Wintour, responding to the question of whether he might stay with Apple for another 25 years. The executive, quoted by journalist Shara Tibken, also noted that he enjoys the team he works with. The "energy and vitality and sense of opportunity...it's extraordinary and it's very exciting," Ive said. "If you lose that childlike excitement, I think then probably it's time to do something else," he added later in the interview. Asked whether he's reached that point, Ive simply said "Oh goodness no." The designer is often credited with much of Apple's success, having been responsible for key design work on products like the iMac, iPod, iPhone, and iPad. In recent years his work has extended to retail and software, for example purging skeuomorphism from iOS 7 in favor of a flatter, more synthetic look. Asked about why Apple is so intensely secretive, Ive offered a personal angle rather the standard view that the company wants to maintain a competitive edge and better impress people at launch events. "I think it would be bizarre not to be [secretive]," he said. "I don't know many creators who want to talk about what they're doing when they're halfway through it. "I've been doing this for long enough where I actually feel a responsibility to not confuse or add more noise about what's being worked on because I know that sometimes it does not work out," he continued. The company is known to develop concepts that never see the light of day, such as a full-fledged TV set. The interview concluded with Ive saying what keeps him up at night is the divisiveness in the U.S. amongst the citizenry, which has intensified as of late. He declined to elaborate on the matter.